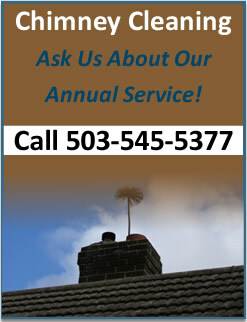 Portland Chimney Sweep, Fireplace and Flue Cleaning - Also serving Milwaukie, Clackamas, Gresham. Proudly serving the great state of Oregon, including Portland, Milwaukie, Clackamas, Gresham, and more! 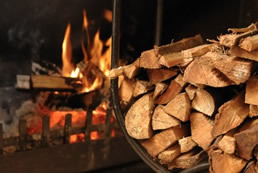 There is nothing more rewarding and romantic than using sustainable, locally sourced firewood to heat your home. Whether you cut and stacked the wood yourself or had it delivered to the shed there is something satisfying and primal about starting a fire. However, fire is a force of nature that needs to be respected and controlled carefully. There are many precautions we must take to ensure the safety of our homes when using fire for heat or ambiance. The most important of these precautions is ensuring that the flue is intact and free from combustible creosote and other blockages. A wise wood burner would call the licensed, professional, and experienced chimney sweep at Tip Top Chimney Sweep. Tip Top can also solve draft, odor, and wildlife issues pertaining to your flue(s). Nothing is more frustrating than having to open all the doors and windows on a cold evening because an improperly functioning flue has filled your home with smoke. A smoky fireplace or wood-stove that puffs smoke is caused by a myriad of circumstances. Every situation is unique to the home and its location but they all have one thing in common, Tip Top can provide a solution. Many of these solutions involve the installation of a chimney cap or damper. TTCS works with many suppliers of chimney caps and dampers, we sell economy products that simply get the job done, or beautiful, handcrafted products that get the job done with style. If you just moved into a new home that features a fireplace or wood/pellet stove, or if you burn a cord of wood or more per season, please call Tip Top Chimney Sweep so we can come inspect your flue(s) and give you the peace of mind you want when starting your next fire. Tip Top can promptly schedule an appointment to perform a safety inspection, draft analysis, and/or cleaning if determined necessary. We are also offering discounts to Seniors (65+), and military personnel. 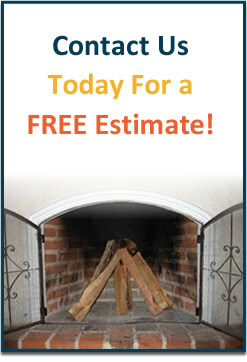 Tip Top Chimney Sweep is your trusted Portland chimney and fireplace service!